If you’re looking for a new or used vehicle that’s manufactured by one of the most renowned automobile companies in the world, look no further than GMC. 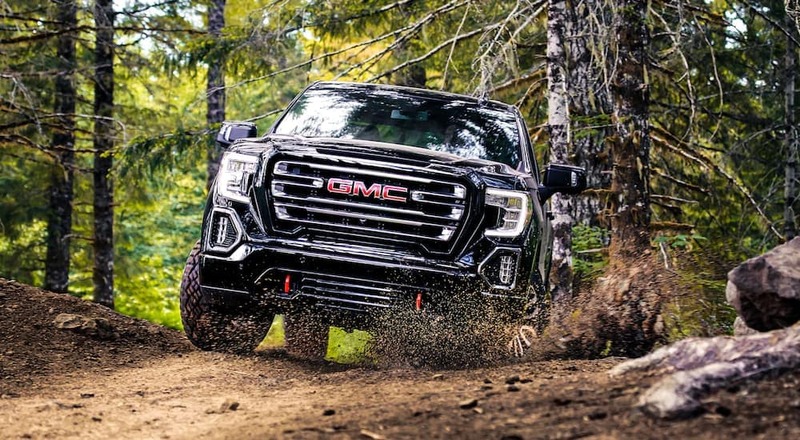 GMC has been providing drivers with high-quality, high-style, high-performance vehicles for generations, and that tradition continues with its line of new models as well as its full selection of certified, pre-owned and used cars, trucks and SUVs. If you’re wondering, “Where can I find a top-notch GMC dealer near me?” and you’re in or near Orlando, Carl Black Orlando is your destination for everything you’re looking for in terms of transportation. 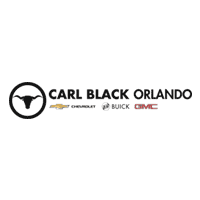 Carl Black Orlando not only offers a full line of new, certified pre-owned and used GMC vehicles, but we also provide our customers with every type of service, convenience and amenity you could ever imagine. Our loyalty rate is extremely high, and we have countless customers who’ve been working exclusively with us for their automotive needs for years. That doesn’t happen by accident. Come on over and see for yourself what you’ve been missing. Of course, even the most service-oriented auto dealer in the world is not going to earn the loyalty of its customers if its inventory is not worth driving. One of the best ways you can answer the question of whether or not the GMC dealer near you is worth the time is right in the first word – GMC – as this is a brand that’s been winning awards for decades. We’re proud to roll out our fleet of new vehicles every year, as we’re sure that they’re going to impress and exhilarate everyone who decides to drive one for years of comfortable riding to come. Quite a few people who wonder, “Is there a GMC dealer near me?” are looking for a new SUV. That’s because GMC SUVs have been setting the standard for performance, quality, dependability and style for years on end. Our SUVs at Carl Black Orlando offer a full range of capabilities, sizes and other amenities. All you need to do is take a look at our inventory and decide, with the help of our professional staff, on the best fit for your driving needs. If you’ve ever spent any time near construction sites, on or near ranches or farms or anywhere where power and utility are of paramount performance in those vehicles, you’ll almost certainly see GMC trucks roaming around, getting the job done. These workhorses have been helping in these environments for decades, and an added bonus is that you’ll also be riding in any of these models in comfort and style. If delivery or hauling cargo is your thing, Carl Black Orlando can help you keep your mission moving forward with any of our choices with regards to commercial vehicles. Our powerful, sleek and dependable vans can be packed to the roof and continue to hum along as if you’re not carrying anything but yourself. As proud as we are of our new model year offerings, our inventory of pre-owned GMC proves just as enticing. Due in large part to the longevity ensured by quality engineering, and timelessness of their design philosophy, GMC trucks and SUVs retain a strong foothold in their respective segments almost effortlessly. And by purchasing pre-owned, our customers empower themselves to get more truck for their money, enjoying the financial benefits of being a secondary owner. But what if you’re looking for greater assurance in terms of a vehicle’s potential for a long and reliable lifespan? One of the reasons why we at Carl Black of Orlando are able to stand so confidently by all of our pre-owned inventory, is because of the diligent and rigorous inspection methods. We then aim to create as transparent a buying environment as possible. Visit the thorough profile for any of our pre-owned offerings and you’ll find a wealth of information about the manufacture specifications and unique features of all vehicles. We’re also glad to offer you an easy means of reviewing that vehicle’s unique history to best-inform your purchase. Why? Because your assurance and comfort matters to us, at Carl Black of Orlando; both in terms of your ‘car-BUYing experience’, and your ‘car-OWNing’ experience. Regardless of the quality of our vehicles, every model needs servicing from time to time, whether it’s for a customary oil change or tire rotation or in case something goes wrong. Not only are our service technicians among the industry’s leaders in terms of knowledge and experience, but we have our own parts inventory right here on our property. That saves you time and money, as we’ll have you back out on the road in no time flat. Time is money, and that’s just as relevant a saying to you as it is to us. In fact, you can even schedule your service right here on this website. Simply decide when would be best for you to come in for whatever you need, and we’ll make sure your vehicle is seen promptly and handled properly. There’s no need to call or to wait for anything – we’ll get you squared away as quickly as possible so you can get back to your busy routine. We always encourage people who work with us to take some time to let others know online how we’re doing. Your word is gold when it comes to any GMC dealer’s reputation, and given our high quality of inventory and service, we’re always excited to hear that someone is going to drop a review on us for the public to view. In fact, our reviews are nothing short of outstanding. If you want to see for yourself, go ahead and take a look. We’ll even get you started. DealerRater.com is an independent website that provides reviews and feedback for auto dealers across the United States. Carl Black Orlando has earned a 5-star rating average, and yes, 5 stars is the highest rating possible. This isn’t just some random score, either, as nearly 500 people have thought enough of us to check in to tell the world that if you’re asking, “Is there a GMC dealer near me that is worthy of my time?” and Carl Black Orlando is the place you want to be. There are other resources out there, so feel free to spend some time looking around. We’re sure you’ll soon agree that we are a team that has earned our rating and our reputation, and we fully intend to continue doing just that into the future. All we can do at this point is invite you to our dealership to see for yourself what we have to offer. As soon as you enter our facility, we’re pretty sure that you’ll immediately understand that you’ve found the right place for your automotive needs. You won’t be pressured into anything, you won’t be sold anything you don’t need, and we’ll tell you what you need to hear as opposed to what you may want to hear. That’s our promise to you, and we look forward to earning your loyalty as a valued customer as we have with so many other great people in the Orlando area.